High Life Highland, a charity that develops and promotes opportunities in Culture, Learning, Sport, Leisure, Health and Wellbeing, is seeking to appoint an inspirational leader who possesses exceptional strategic, interpersonal and ambassadorial skills, with the ability to perform a wide ranging role, leading the Charity in continuing to grow and extending its impact into the next decade. You will be an innovative thinker, financially astute, with a track record of stimulating growth in both service users and income with a clear aspiration to ensure that local communities and stakeholders continue to regard HLH as a partner of choice. Crucially, you will be excited about the opportunity to effect real and lasting change to the health and wellbeing of communities throughout the Highlands, whilst balancing the delivery of public service with commercial opportunity. An emotionally intelligent and thoughtful leader, above all else you must bring an authentic commitment to the values and spirit of the organisation and be able to get the most from a dedicated, capable and enthusiastic team. With excellent influencing skills, the successful candidate will need to motivate, encourage and bring energy to the delivery of our strategic objectives and goals with a real can-do attitude and an aptitude for problem solving. You must be approachable, not distant, an exemplary relationship builder, adept at leading the Charity externally with key stakeholders (including the Council, local and national politicians and partner organisations) and be able to demonstrate knowledge of the social and political environment in which the Charity operates as well as the policy issues which impact our work. For further information on the post: please contact Ian Murray via [email protected] or 01349 781700. 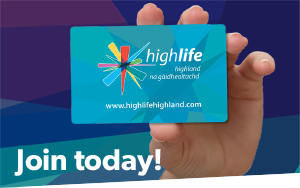 Application Pack: Highlifehighland.com/recruitment – Completed applications by email only to [email protected] by 5pm 30th April 2019. Interviews: will be held in Inverness over two days on 5th and 6th June 2019, including a mix of formal and informal environments. It is anticipated that the successful candidate will be in post from 1st September 2019 or earlier to allow a handover if possible.